Happy Sunday my amazing friends! 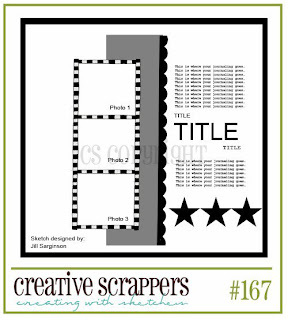 It's time for another reveal over at Creative Scrappers! I love how these sketches really make me think outside of the box. The best part about working with a sketch is that you can concentrate on the creative elements instead of worrying about the design (since the sketch takes care of that)! The photos are of my lil' man when he was a baby. He is NINE years old today!! OMGosh!! Happy Birthday papi!! I LOVE YOU! 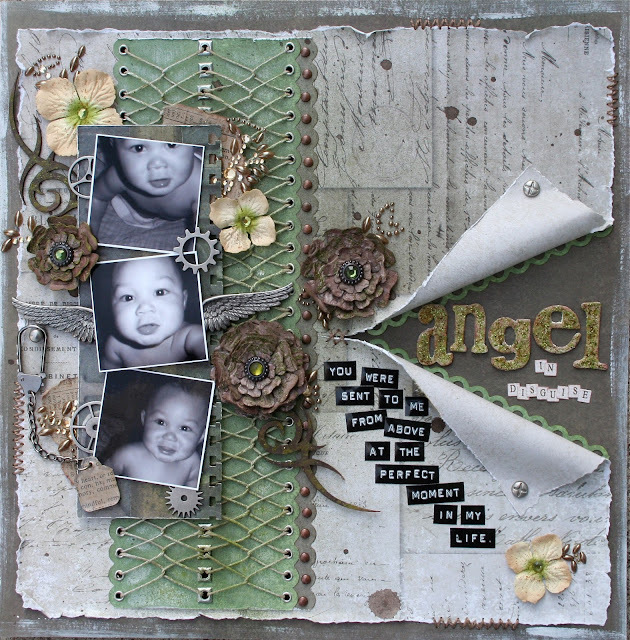 I used a lot of Tim Holtz goodies on this layout, including the papers. Love love love these wings! The tribal chippie is made by The Dusty Attic (Tribal Design #3 DA0307). These flowers were made out of Dusty Attic Chipboard (Flower Layers #3 DA0504). You can find a tutorial on how to make them HERE. Thank you for visiting and for your awesome comments! Have a wonderful week! My god! This page is so .... perfect! Congratulations! What a wonderful work you made with this Layout - its simply STUNNING!! absolutely amazing layout! Love the lacing (and those square brads)...everything about this is absolutely gorgeous! Another stunning page, Natasha. 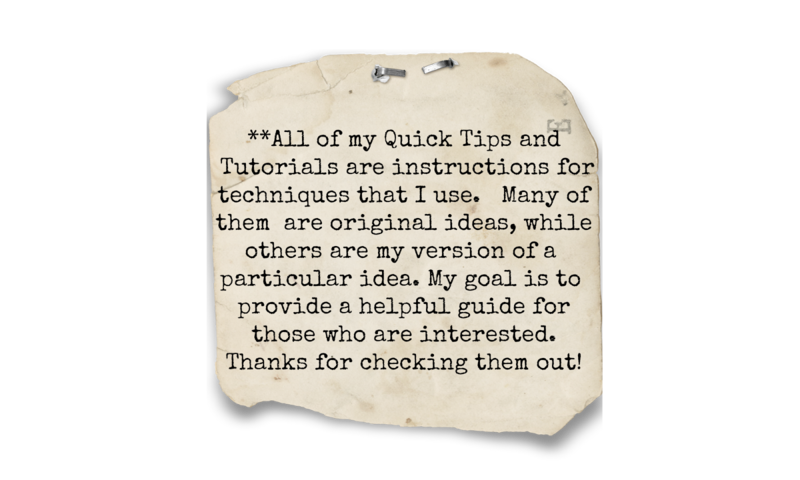 Thanks for the great tutorial too. I love your layouts, from all the detailed embellishments to the papers you use. My favorite is the little details that show underneath the layers of papers! Great work!! Simply stunning Natasha! Love your lace work! So very pretty! Love,love, love, this lo. I especially love the lacing. Absolutely gorgeous. So many details and everything's so cool! Thanks for sharing!!! I have just spent the last two hours drooling over your fantastic blog (I should be doing my housework) lol. Your work is an inspiration (I'm sure that you have been told that many times before). Keep up the good work, & well done to your lovely husband for encouraging you to showcase your wonderful talent. 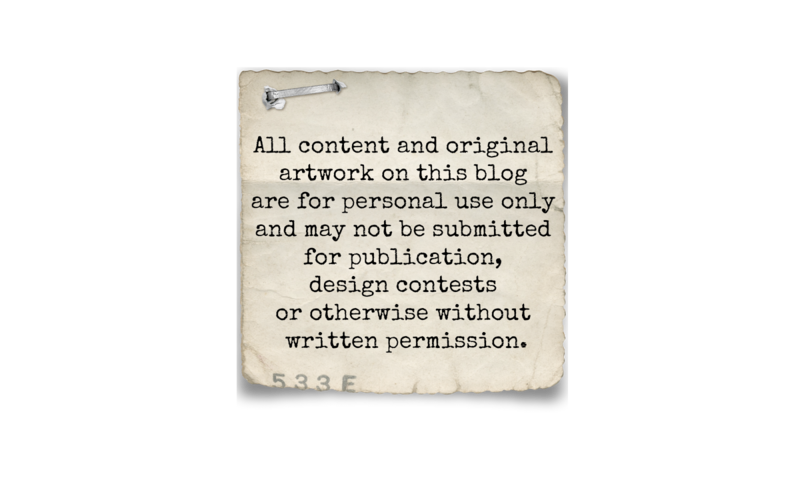 I shall look forward to returning to your blog, to see what wonders you create. Such a fabulous page based on your little man! Love the different take on the lacing & all your attention to detail as always. I especially love those pics. It's those candid shots of your kids when they were much younger that always grab my attention. Amazing work girlfriend...amazing inspiration for me & for everybody! Que preciosas páginas Natasha y el trabajo que hiciste es fabuloso!! Awesome grungy boy layout. I love your stitching and all the elements that went into this.